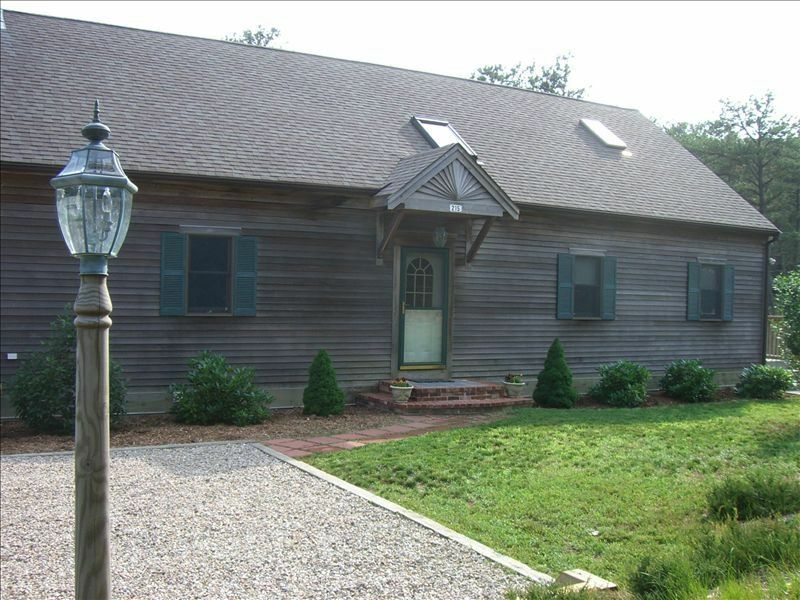 Cape Cod-style, four bedroom, Non-Smoking house within easy walking or driving distance of town, bay, and ocean beaches, the National Seashore, and all that makes Cape Cod great in the summertime. On a quiet side road just outside the center of Wellfleet, there is room for up to eight in this fully-equipped vacation home. A deck is located off the back of the house overlooking a wooded lot. Deck furniture, gas grill & 2 beach chairs are included with this rental. Bathroom 1 includes washing machine and dryer. Please provide your own towels. Great house and fabulous people! Two families fit comfortably. Perfect location close to town center and many local attractions. We will definitely be back!